A new theory regarding the ultra-thin MacBook Air is in the air that says as soon as it reaches the last refresh cycle, Apple may sit down with Intel to discuss about putting a faster processor in them. Some say the talks are already under progress. 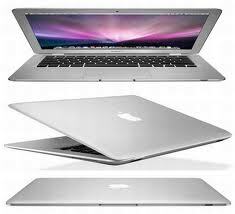 Now if the theory proves to be correct than the next processor up for the Mac book Air should be Ivy Bridge, a new processor architecture that is much improved than Sandy Bridge. The Ivy Bridge supports a “core” Mac OS X technology called OpenCL, this might be one of the reasons for which apple shows interest in talks. Open CL stands for Open Computing Language and uses an approachable C99-based language along with API for managing computing in parallel. It was first introduced in Mac OS X Snow Leopard. This technology provides acceleration to applications by giving the ability to compute the power of the GPU in parallel. According to Apple’s Developers site Open CL opens a new range of computational complex algorithms for use in user’s applications. Possibilities of computation include: Using Open CL to bring sophisticated financial modelling techniques for accounting applications, performing cutting-edge analysis on large media files, and incorporating accurate physics and AI simulation into entertainment software. Ivy is said to be 60 percent faster than the current Sandy bridge chips. Much performance boost in the Ivy is provided due to more graphic circuit according to CNET. The next refresh of the MacBook air is still a month away and it will be clear only then if they are going to change the processor. A few more updates can also be added like the USB 3.0 may be installed.